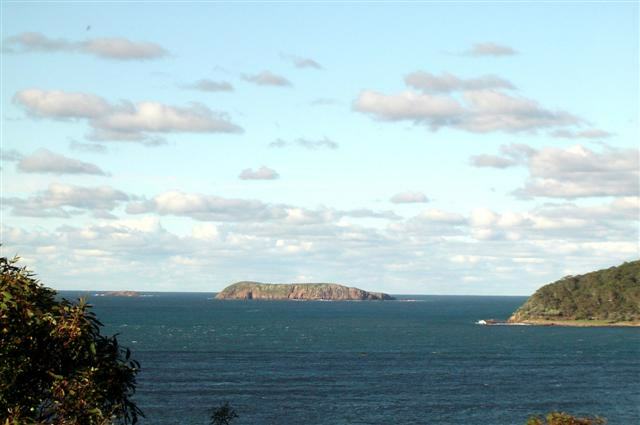 Nelson Bay, situated on the southern coastline of Port Stephens in NSW, is on the edge of the beautiful Tomaree National Park. A few days here in the dolphin capital of Australia was a perfect break from the rat race and we checked into the Landmark Resort ([star][star][star][star]) for some much-needed R&R. The Landmark Resort overlooks the stunning blue waters of Nelson Bay, is bounded by Tomaree National Park, and is only 500 metres (less than ½ mile) from the d’Albora Marina. We settled into our room and later that evening, with some local friends, we celebrated with our bottle of Two Tails Sparkling Wine for the start of another new adventure. boom net for anyone who wanted to swim. It took a while before anyone was brave enough to slide down the spiral tube into the net but once the first one went down several more were quick to follow. They were definitely having a good time judging by the laughter coming from the water. There were some people parasailing almost right beside us and John was fascinated. I could tell he wanted to try it but then decided it was probably not a good idea. Personally I think he just chickened out! that have never been sunburned before! We had a quick stop in Anna Bay to pick up a 3-day beach pass before turning onto the beach access road and stopped to let some air out of the tyres. A lower tyre pressure is best for driving on sand. This whole area is owned and cared for by the Worimi Nation, the traditional owners of this land. The $10.00 paid for the beach pass helps in the conservation of this beautiful but surprisingly desolate area. 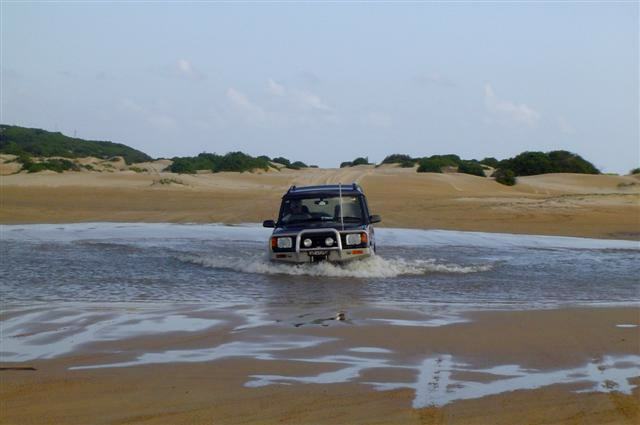 There was a small shallow ‘lake’ to cross before we reached the beach but it wasn’t deep and many more 4×4’s had been through before us so we set off at a rather sedate pace. I wasn’t sure about this, I could just see us sinking but we made it through without getting our feet, or anything else for that matter, wet. At the entrance to the beach there is a row of concrete pyramids, each about a metre (3 feet) high. Hundreds were placed there in World War II as an anti-tank defence system and many of them are still visible today. 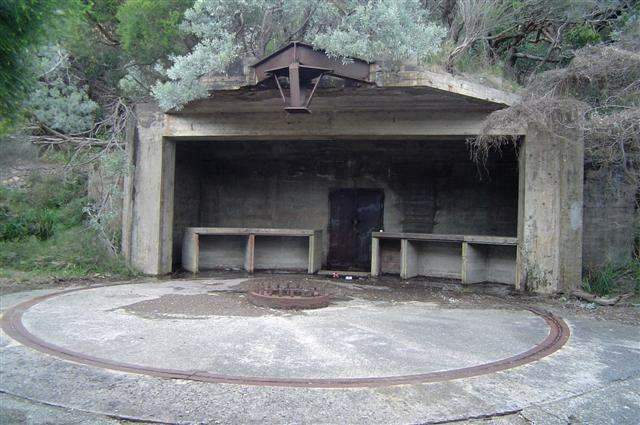 This entire area was heavily fortified against prospective Japanese attack during 1942-1945 and was the site of a joint Australian – US training base when 22,000 Australian and American troops trained for ship-to-shore invasion. Negotiating our way through this concrete fence we were soon down on the beach and what a magnificent sight! 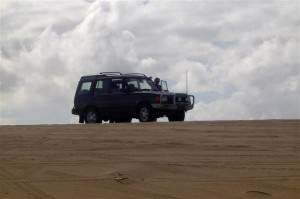 The sand dunes of Stockton Beach need to be seen to be believed! 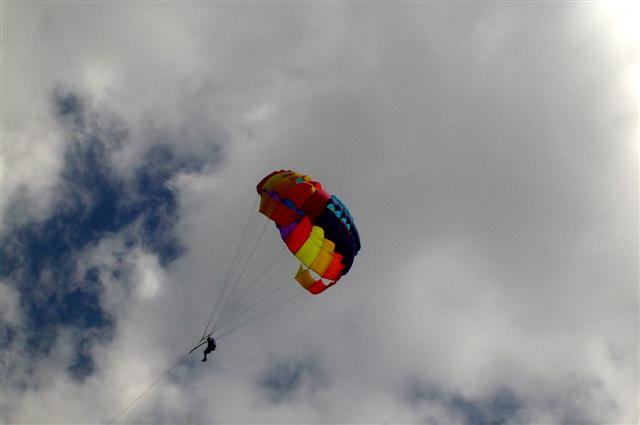 Along a 32-kilometre (20-mile) stretch of beach and covering an area of over 2500 hectares (6180 acres), these dunes of white sand climb up to 40 metres (132 feet) and slope up to 60°. These wind-blown dunes comprise the largest continually mobile sand mass in NSW and as the sand moves it exposes sections of barbed wire entanglements left over from the Second World War. The sand close to the water’s edge was firm and for the most part we stayed there, only veering in our course to avoid fisherman and beach-goers. A few kilometres along the beach we stopped to watch some sand-boarders having fun as they rode the boards down the dunes, their shrieks of laughter carried away on the wind. 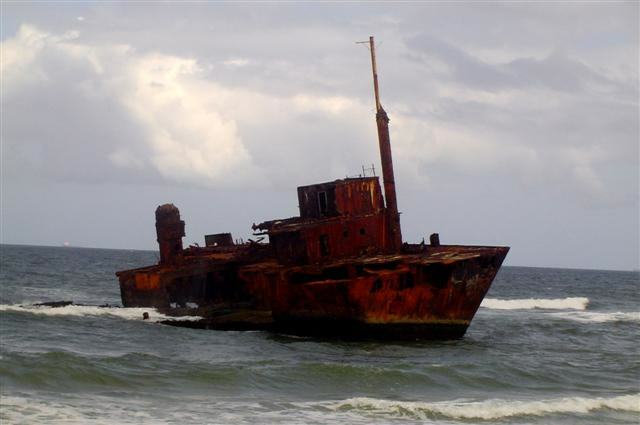 The second most famous, and popular, attraction on Stockton Beach is the wreck of the Sygna, a Norwegian bulk carrier that ran aground in a violent storm in 1974. More than 2000 tonnes of oil leaked from the ship over a period of a few months and several salvage attempts failed. Two years after becoming grounded the bow section was towed away and broken up in Taiwan. Today, the stern still lies, rusting, on Stockton Beach. It was a fascinating sight and not hard to imagine the crew trying valiantly to turn out to sea and reach safety. It must have been one huge storm to drive it onto the beach! By now it was getting late and John had decided that he wanted to try out some dunes before it got dark. The first one or two weren’t too bad, several other vehicles were there ahead of us. We stopped on the top of one while John had a look around to see which way he wanted to go. “Don’t you think we should follow the other cars?” I foolishly asked. “Where’s your sense of adventure, woman?” was the reply. Well, HIS sense of adventure took us into some very soft sand and we were definitely not going anywhere for a while! 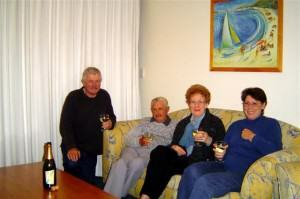 I think it was my very black look that conveyed the message that I did not want to spend the night on Stockton Beach! A little bit of fancy footwork (and reverse gear) eventually got us out and on our way again. There were vehicles all over the dunes and I wondered how it was that there were very few, if any, “mishaps”. A lot of the cars had orange warning flags attached to long aerials making it easy to see them between the dunes but, even so, with that many vehicles going every which way, it was surprising that there were no accidents. We reached the end of the beach without further incident although John’s comment about forgetting his fishing rod elicited another black look! 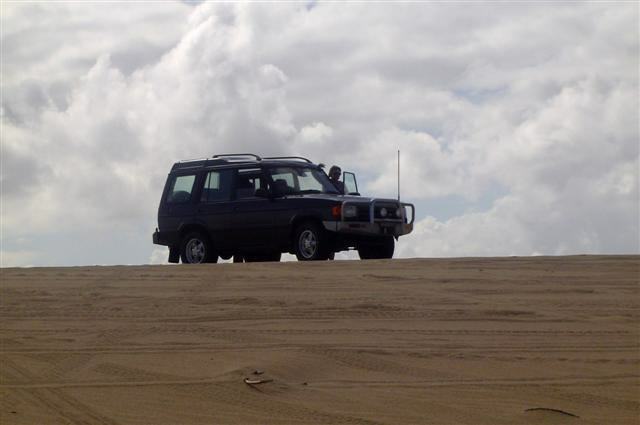 Stockton Beach is a terrific place and it’s not just for the 4×4 enthusiasts; several tour businesses run excursions across the dunes in buses, albeit 4wd buses, and it’s a perfect way to experience this fascinating landscape without the bother of taking your own vehicle or the worry of getting stuck. commonly known as Bobs Farm and when, eventually, it was sold, the new owner made the name official. Wonganella Wines sits proudly high up on a hill with some great views. We tasted one or two of the wines and chatted with Natalie Stevens, the owner at the time of our visit. I believe that there are new owners now. Anyway, she told us the story of Bobs Farm. 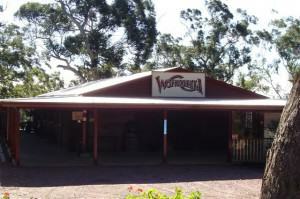 Wonganella’s restaurant is appropriately called “The One On Top” and it seemed like a good place to have lunch. We certainly weren’t disappointed. We sat outside on the glass-enclosed verandah and indulged in a platter of cheese, fruit, and crackers, and a serving of their mixed bread. We had the place to ourselves at first but it wasn’t long before there wasn’t a spare table to be had! We thoroughly recommend a visit here; the idyllic surrounds are the perfect compliment to the great food and excellent service. radio direction finding equipment has proved invaluable in many marine rescues. 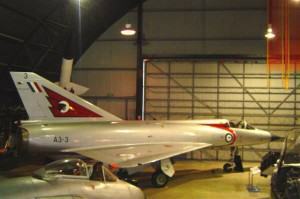 It operates 24 hours a day and 7 days a week and is manned entirely by volunteers. well as parts of planes that had been recovered after accidents, mostly engine parts. We also watched a documentary about the birth of that most famous World War II fighter, the Spitfire, and its action during that war, and John even sat in the cockpit of one of the jets – makes a huge difference to that little AVRO at Longreach! In a separate hangar a complete Hudson Bomber was undergoing restoration. Discovered on a property in New South Wales, the restoration was close to being finished when we were there. By far the most popular area was the observation deck where we jostled with a lot of school children on a field trip. We were able to watch several F-18 Hornets and a USAF Orion take off on their training runs and listen to the pilots over the PA system. The noise during the take-off was unbelievable, my ears are still ringing! It was totally amazing. Nowhere else in the world, especially in the current climate, could you get this close to military aircraft and the runways of an air force base! Fighter World is fun for the whole family and is open every day except Christmas. The waterways of Port Stephens cover approximately 166 square kilometres (64 square miles) which makes it about 2½ times the size of Sydney Harbour. 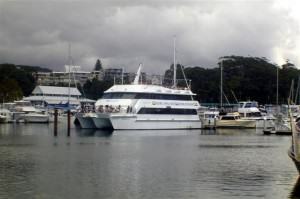 The entire area is part of the Port Stephens-Great Lakes Marine Park so it’s a good idea to check with the local Marine Parks Authority, located at the d’Albora Marina in Teramby Road Nelson Bay, before setting out on any fishing adventures. 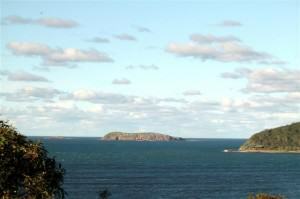 Nelson Bay is the perfect place from which to explore Port Stephens and the beautiful surrounding areas. It attracts people from all walks of life and some people go back year after year because they simply can’t get enough of it. 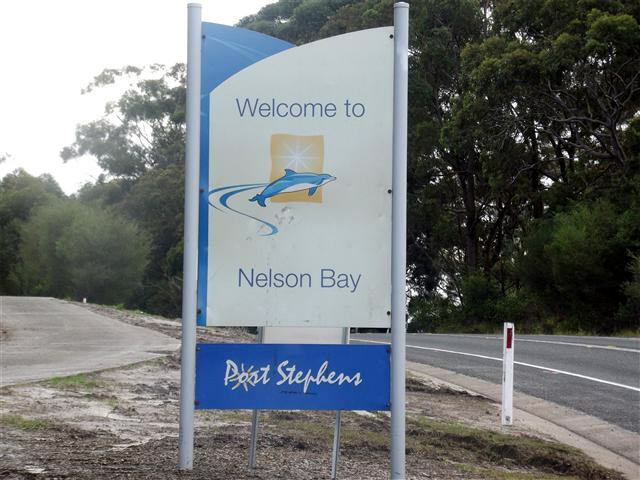 You won’t be disappointed if you visit Nelson Bay and we’re sure you will discover, as we did, that there’s no such thing as one visit.